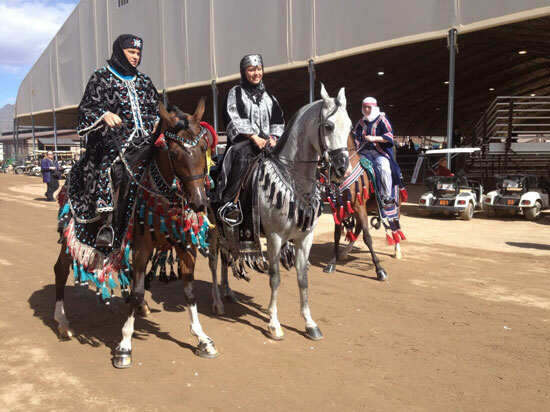 At the Scottsdale Arabian Horse Show there was plenty around to occupy the equine enthusiast from cheering on competitors in the four different rings to the great shopping experience. SmartPakers Casey, Paige, Susan and Courtney really enjoyed visiting with our customers, as well as watching and learning more about this brilliant breed. Visiting Scottsdale Arizona for this show was a fun experience and they wanted to share some of our favorite parts. Courtney – The best part of attending this show was the chance to see the Arabians in action. Having owned an Arabian (Special was his name) when I first started riding, I was pretty familiar with how fun this breed can be. It was fun to watch the classes that are less common today such as Side Saddle, Saddle Seat, Liberty, and Traditional Costume classes. These horses have quite a bit of action! It’s hard not to want to ride while watching all of the fun in the ring. Another great part of our visit was the brief change in landscape and climate so we could escape our winter wonderland in the Northeast. 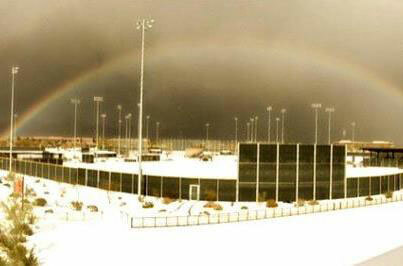 We couldn’t escape it for too long though since Phoenix/Scottsdale had a snow storm (the first in nearly 50 years) while we were there! Aside from that, seeing a Saguaro was a first for me! I thought they were something that only existed in those Wiley Coyote cartoons – where you saw them right before the road runner tricked him into running off a cliff. 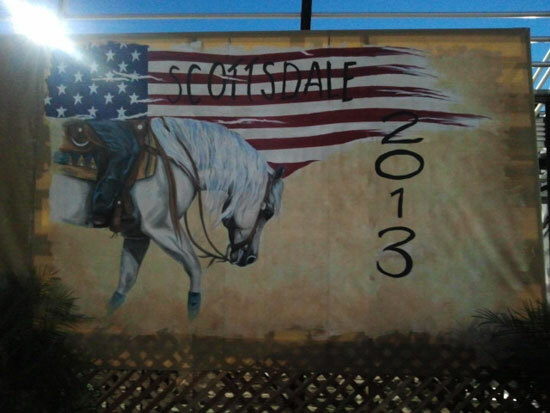 We also ate dinner up in Cave Creek and traveled back in time to a real “Old West” village. 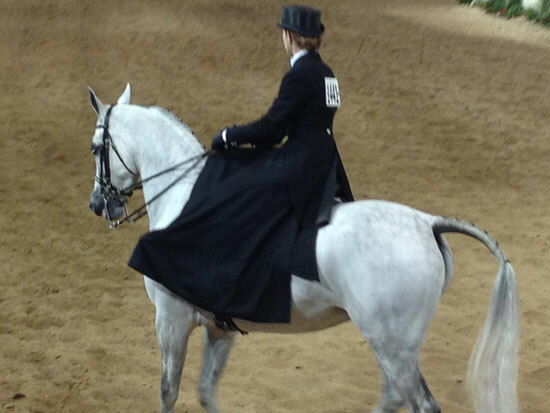 Paige – I particularly enjoyed seeing Shameless, a famous Arabian stallion, and the costume classes. I was also lucky enough to attend the Reining Draw Party on Thursday night and meet some talented competitors. 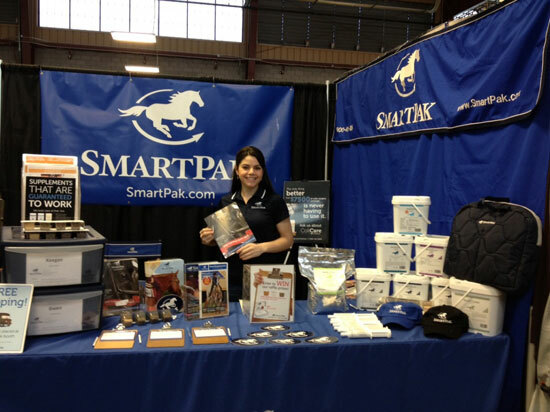 SmartPak was proud to be a part of the awards for the Reining classes, as well. I always love seeing how excited and happy the competitors, trainers, and owners are of their job well done (and let’s not forget the amazing horses)! Casey – My favorite part of any tradeshow is always getting the chance to chat with our customers in person! It’s so fun to learn more about their horses, and in many cases we even get to see pictures! What horse people don’t love sharing pictures of their ponies, right? This year at Scottsdale we got the chance to talk with customers about some exciting new programs like ColiCare, and also about SmartGut Ultra and the clinical research study that accompanies it. We met some fantastic people, and got the chance to help some of their horses with a new supplement program in SmartPaks! The other fantastic part of this show is, of course, the Arabians. Such beautiful, athletic, versatile horses. I am especially awed by the Mounted Native Costume classes. There is just something amazing about 14 horses hand galloping around the ring jingling. 🙂 The Scottsdale Arabian Show continues to be one of my favorite shows to attend, and I know we are all looking forward to next year as well!